We’re less than a week before the big kick off to the Premier League so perhaps inevitably, what with the transfer window shutting on Friday too, Arsenal are suddenly looking less than perfect when it comes to preparation with the new season. I’m talking of the Ramsey situation of course, but also of the Calum Chambers situation, as some noises appear to be being made that he’s off for a season long loan to Fulham. I don’t really get that one to be honest. He’s 23, he looked like Emery wanted to invest time in bringing him through as a first choice centre half, he signed a deal at the beginning of the summer which made initial Fulham links go quiet, yet now they’ve resurfaced. Why? I can understand the need for one of the defenders to head out. We look like we’re playing with three central defenders and not two which realistically means that we probably only need four available for Emery to call on. Added to that we have the versatility of Monreal, so there is cover there, but I would have thought it would have made more sense to send Holding or Mavropanos our on loan. They are younger, probably one down the pecking order from Chambers, at a similar stage to where Chambers was two seasons ago when he went to Middlesbrough. So why send Chambers out now? Surely there would have been plenty of clubs who’d have wanted a year out of Mavropanos or Holding? If this deal happens I’ve seen some people say we’ll go out and buy another centre half. But why? What makes people think that? We already have four. I just can’t see it. 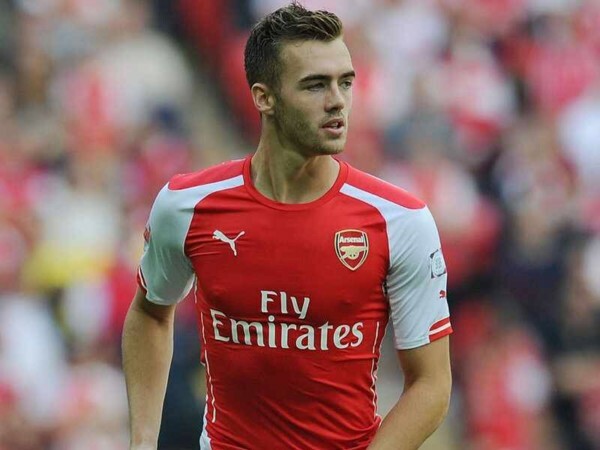 The only way this makes sense to me is if Emery has told Chambers that he needs him to play 30 to 40 times this season because next season he’s going to be first choice, so he signs a new deal, agrees to a loan to get games, so he can come back to The Arsenal in a year’s time to take Mustafi or Sokratis’ place. But this still all feels a little ham-fisted to me. It doesn’t strike me as a coherent strategy and with the Ramsey situation now surely reaching a critical point, we’ve gone from a good summer of stability to a rocky week before the Premier League starts. It also doesn’t help that even a rotated Man City team look like they could turn over most other teams in the league. So much for them not being prepared and Arsenal being able to capitalise, eh? Perhaps I’m just getting into my normal character for the season, which is to build my own self-defence mechanism of pessimism because that way, you either get what you’re expecting or it’s a positive upside. Right now I’m not looking forward to that opener against City in the slightest. Weirdly, there’s part of me who wishes both games were away from home at the start because at least then you could write off the start of the season and pretend August didn’t really happen! Seriously though, we have to do something about the Ramsey situation and I hope it’s this week, because I can’t be arsed with all the messing around again. Get him signed or get him sold and if Chelski want him they can have him for silly money. Quote them £50million or something. Then quote the clubs abroad £40million and see who bites. And I hope the Chambers noises are just that. I have always rated the guy and just feel like he’d be a better back up option to two of the younger defenders. One of them needs a 30 game season and it feels like it should probably be Holding. If he has an impressive one on loan then we can welcome him back next season and perhaps see a Chambers/Holding back two in 2019/20. That feels like it would make more sense to me but I guess I know nothing about what’s best for the club or how the club is run at the moment. I just hope Unai and the Transfer Trio know what they’re doing. All any Arsenal fan wants to see is a successful club and to remove seasons like last year and summers like the previous few. We seem to have got the summer dealings part done smoothly enough and now we just need it to all click. Keep Chambers, sell Mustafi?But who would buy him?